From the Stonewall Riots for gay rights in the 1960s to many recent scattered rallies denouncing police abuses, these demonstrations have a common thread. They evoke a communal call to action for basic human rights providing for equal treatment of every individual regardless of nationality, gender, race, religion or any other status. Human rights is more than just a trend on Twitter or a topic discussed in a high school history course. The moral principles that are supposed to be guaranteed to each and every individual are still so pervasively abused. On any given day in a major city, you will find a rally filled with tens to hundreds of passionate individuals fighting for a certain cause they wholeheartedly believe in. The image of protestors is of one of violence and riot, but behind that one-sided stereotype, the message remains clear. Many people are still suffering because of an unjust society and it our collaborative mission to advocate for those who can’t. For those who are no longer with us and for those who have been silenced, we each have a distinctive voice that must be heard. The fight for equality is still happening. And it’s a fight that has yet to be won. Amid recent reports of racial intolerance and police brutality, I sat down with Kalaya’an Mendoza, who works as a field director for Amnesty International USA, to discuss the current scope of human rights activism. 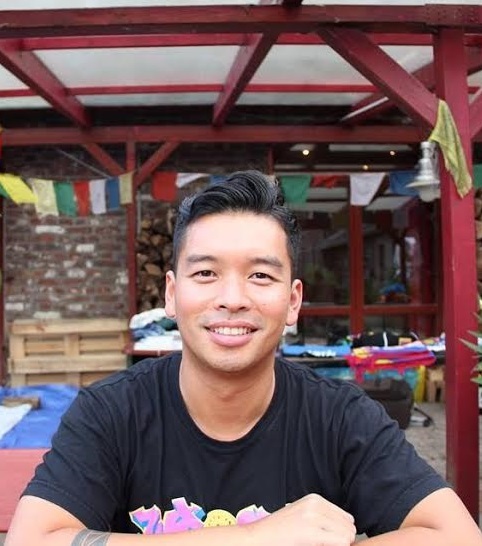 Mendoza is one of the speakers at a UniPro Summit on June 6 where he will explore why Filipino Americans may be able to work in solidarity with other communities of color. Chris Catiis (CC): Can you briefly discuss your background in human rights? Kalaya’an Mendoza (KM): My background in grassroots organizing and human rights started in middle school when I became a youth activist that spoke out against racial profiling that was occurring in my school district. This began a lifetime of social justice work that has taken me across the globe, focusing on LGBT rights, Tibetan independence, and ensuring the fundamental human rights for all impacted communities. As a field director with Amnesty International USA, I coordinate grassroots activism across the United States around our campaigns on police accountability, ending torture, and releasing Prisoners of Conscience around the world. CC: What issues are you personally the most passionate about? KM: There are two issues that have resonated with me in my life as an organizer. The first is around the colonization and occupation of Tibet by the Chinese government. As a Filipino, I saw parallels between what the Spanish empire did in our own country and what the Chinese government is doing with Tibetans. From the systemic oppression of their indigenous identity to the cultural genocide that is being waged in the name of “progress.” I couldn’t stand idly by and watch another indigenous people be erased from history, and that’s why I decided to stand in solidarity with the Tibetan people in their struggle for independence. Another issue that is closer to home is that of LGBT rights. As a Queer identified person, I have seen and experienced firsthand the damage that homophobia and heterosexism can do. I was lucky enough to have supportive parents who loved and accepted me but unfortunately that isn’t the case for many Queer people of color, most especially Queer youth. I’m dedicated to fighting for a world where our identities are respected, our struggles are recognized, and our voices are heard. CC: From what I understand, before working with Amnesty International USA, you were a grassroots coordinator for Students for a Free Tibet International during the Beijing 2008 Olympics campaign. What exactly happened there? KM: Prior to the Olympics there was a massive crackdown inside Tibet that followed a popular uprising against Chinese rule. In response to the International Olympics Committee granting the Chinese government the honor of hosting the games, we spent seven years preparing our activists to do local actions and sneaking into Beijing itself to engage in a series of nonviolent direct actions. I took part in an action during the opening ceremony that was a kilometer from the Bird’s Nest Stadium. My action team and I unfurled Tibetan flags an hour before the opening ceremonies and within a minute we were tackled, beaten and detained by Chinese soldiers. As a result my foot was broken in two places, we were interrogated for nearly 24 hours and finally deported from Beijing, banned from ever returning. This was my small act of solidarity with the Tibetan people and their struggle and I would do it again without a second thought. CC: As an Asian American, how do you believe being a minority here in the U.S has influenced your personal relationship with tackling cultural diversity issues? What are some of today’s concerns that you believe to be directly hindering the Filipino community? KM: Growing up in the Bay Area I had always been surrounded by communities of color. It wasn’t until I went to college at UC Santa Barbara and surrounded by white people that I was forced to develop an acute sense of racial awareness, and a thirst for racial justice. It was through this lens, my studies, and the relationships I built with radical activists of color that I saw the deep relationship the United States has with systemic racism, domestically and globally. As a Filipino one of the things that I have seen as a major problem is the internalized racism that we experience collectively and historically. It has reinforced a colonized mindset where we demonize anything dark, black or indigenous and we venerate everything that is white or mestiza/mestizo. It manifests itself in benign and detrimental ways. From the use of skin whitening creams to the anti-black racism that is present in our community. Until we decolonize ourselves, we will never find liberation. I strongly feel that colonization, although centuries past has left a legacy that holds our people back and until we find pride and beauty in our roots we will always be trying to live up to Euro-centric standards, and thusly will always fail. CC: How does the media’s portrayal of protestors affect the public perception of the reality of activists’ work? KM: Having been an activist most of my life I have learned a few central truths. One of them is that the media loves and understands stereotypes. I think that when the media reinforces the narrative of the “scary angry protestor” it reinforces the message to the public that we are fringe or somehow outside of society. Rather than the truth, which is we are you, we are your friends, your kids, your co-workers. We care about the world deeply and are committed to a vision of a just, verdant and peaceful world. CC: What are your thoughts on “social media” or “hashtag” activism? Is it just as effective or powerful as street activism? KM: I think the “either or” mentality is flawed. These are two tactics in a broader strategy in the fight for social justice. We have seen the effectiveness of the #BlackLivesMatter campaign in elevating the case of Michael Brown, Rekia Boyd and other black folks who have been the victims of police violence. Hashtag activism uplifts the conversation and highlights egregious human rights abuses and on-the-street activism is the physical manifestation of public outcry and fury. We need both in the struggle for human rights. CC: What is the hardest part of being a human rights activist and how do you keep fighting even during high times of stress? KM: Emotional burnout. Quite frankly, so many activists, myself included, have faced emotional burnout and not prioritized our own physical, emotional or mental health. This is hard and many times, thankless work. Watching state-sanctioned killing unfold on our screens and in our neighborhoods, the painful chaos of being tear-gassed and beaten by police who are tasked with preserving the peace and the constant sense of dread that accompanies this work is profoundly taxing. I made a decision a long time ago that I would prioritize my health and well-being. The martyr complex benefits no one but the person. Movements need people power, not martyrs. CC: What words of advice can you can give to the next generation of human rights activists? KM: Our righteous rage is no longer enough, we need to cultivate a deep and profound love for our community, our people, our world and for ourselves. We need to dream bigger, hope bigger and love bigger. Another world is possible, we just have to create a vision of what that looks like and see it through. Chris Catiis is a student at Ramapo College of New Jersey. Chris is studying to be a nurse. His writings have appeared in sites, such as Elite Daily and Thought Catalog. He is passionate about Asian-American Pacific Islander identity and racial diversity issues.